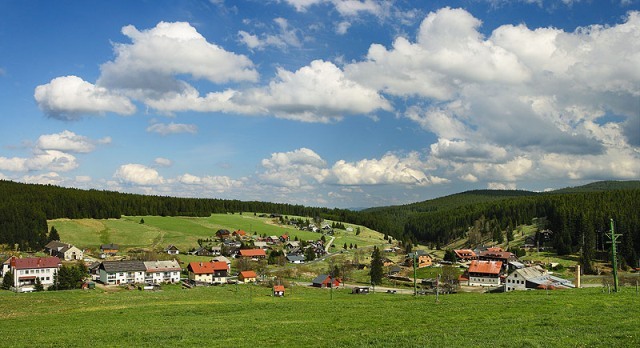 This a picturesque village in the central part of Šumava (Bohemian Forest), the starting point of many hiking trails. It has the highest Czech village with a church (1,065 metres above sea level). The former wooden chateau was demolished. 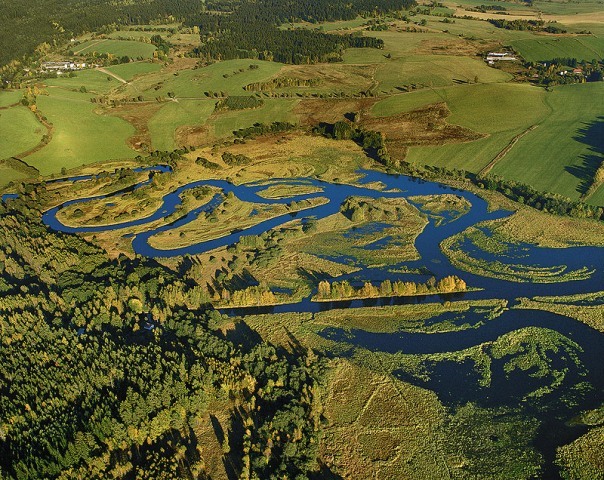 The course of Černý Potok (Black Stream), the future Teplá Vltava (Warm Vltava), turns southeast below Kvilda. One of the newest villages in Šumava is located in the Teplá Vltava (Warm Vltava) River valley at an altitude of 765 metres above sea level. It was founded in 1834 near the former famous glassworks. 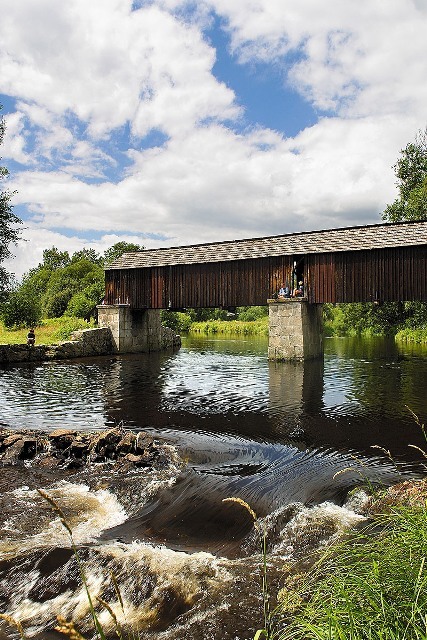 Its noteworthy monuments include original folk architecture, a chateau, the municipal masonry bread oven, and a covered wooden footbridge spanning the river – a so-called rechle (covered bridge). The first written record of a settlement with a timber and floating tradition, located between the Vltava and Schwarzenberg Canal, dates back to the end of the 17th century. 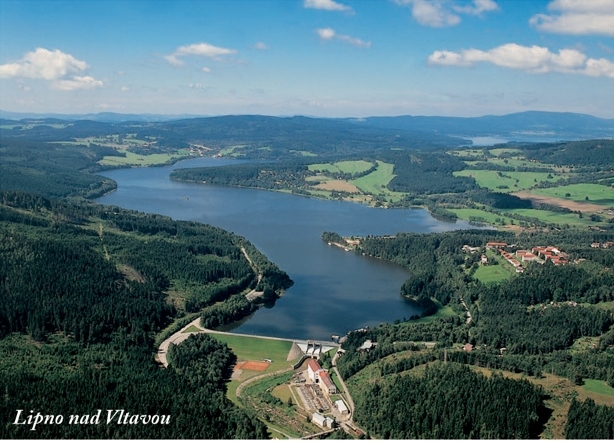 The Vltava changes to Lake Lipno at Nová Pec at an altitude of 726 metres above sea level. This is the end of Upper Vltava boating routes. This small town on the left bank of the Vltava (or more precisely, the Lipno reservoir), not far from the border of the Šumava National Park, is primarily known for being the birthplace of writer Adalbert Stifter. The first mention of the village dates back to the 1st half of the 14th century. Today, this is a recreational centre with the option of taking a ferry to the other shore of Lake Lipno. The first records of the former market town date back to the 2nd half of the 13th century. Part of Frymburk had to be built again after the Lipno reservoir filled up. Currently, it is a recreational centre on a peninsula on the left shore of the lake. It has a dock for a ferry giving one the option of going to the other shore. 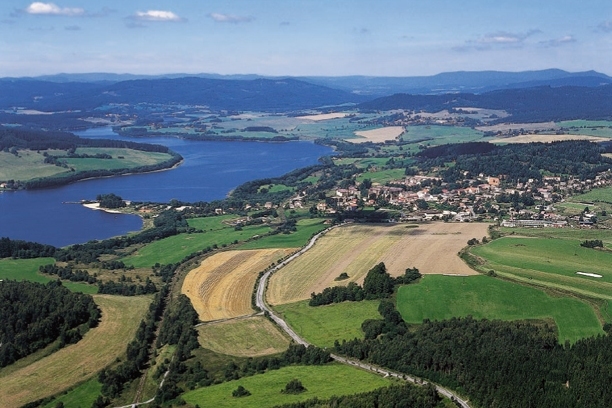 This former timber settlement was completely flooded when the Lipno Dam reservoir filled up. 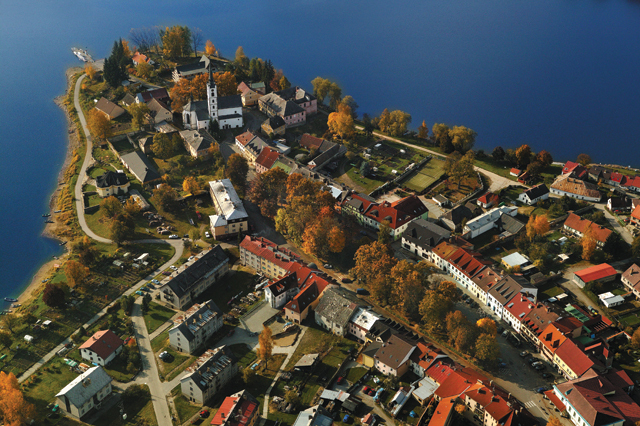 The village as it appears today, near the Lipno I Dam, was built again during the years 1952 to 1960, concurrently with the construction of the waterworks. This is a village on the Vltava located in the section of the so-called Čertovy proudy (Devil’s Rapids), not even 3 km from the Lipno I Dam at an altitude of 690 metres above sea level. The first records of the village date back to the year 1361. The famous Porákova Paper and Pulp Mill has been active in Loučovice since the 1880s. This is the southernmost seat in the Czech Republic, spreading out on the right bank of the Vltava under the Lipno II Dam. Written accounts of the settlement, near the ford across the Vltava, date back to the year 1256. It has a famous Cistercian Monastery, Post Museum, and other monuments. This is the starting point for boaters setting out on the Vltava. This is a village with a castle that was founded in the mid 13th century by the Vítkovec family. Because of its sights, attractive location, and last but not least, its being a popular boating centre, Rožmberk is one of the locations most visited by tourists in the Český Krumlov District. Today, this is one of the most attractive tourist destinations in all of the Czech Republic. It was founded by the Vítkovec family in the year 1274. The historic, medieval core of Český Krumlov, located within a meander of the Vltava River, has been registered in UNESCO’s World Cultural Heritage List since 1992. This administrative and cultural metropolis of the South Bohemian Region lies at the confluence of the Vltava and Malše Rivers. 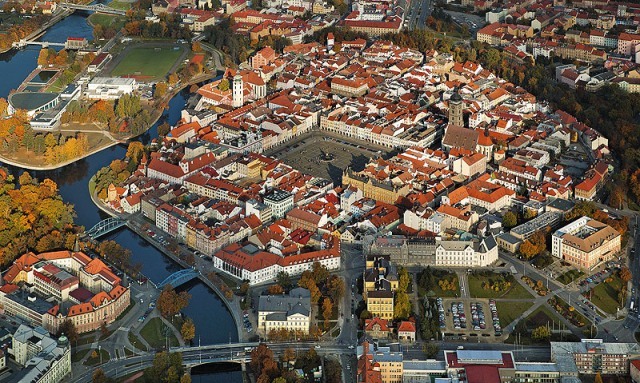 This royal town was founded by Přemysl Ottokar II in the year 1256. České Budějovice is a sought after tourist destination because of its many monuments and proximity to other historically important places and sights. 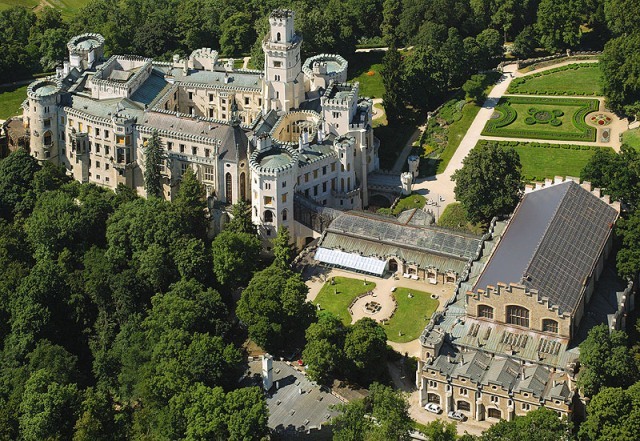 The village of Hluboká nad Vltavou is primarily famous for its monumental chateau. Its current appearance, inspired by the romantic Windsor Castle, comes from the end of the 19th century. This is one of the most visited monuments in the Czech Republic. A weir with a lock is located on the right bank. 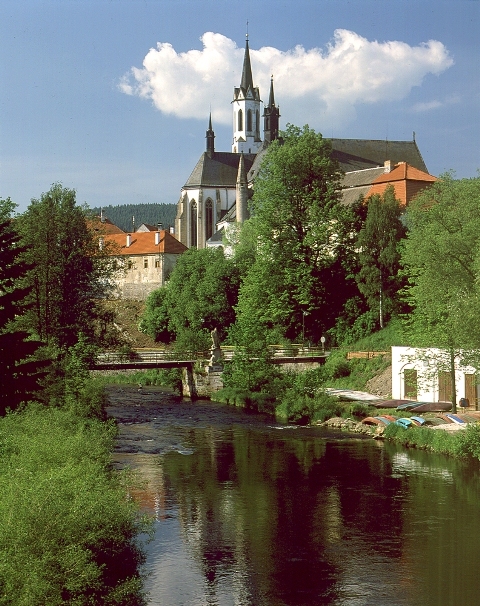 This town is located above the confluence of the Vltava and Lužnice Rivers. It is one of the oldest seats in Southern Bohemia. Records of a fortified farmstead with a settlement date back to the 12th century. It became a royal town in 1609. The backwater of the Orlík Dam, 60 km distant, is evident on the Vltava in Týn.